Was The Instamine A Positive Thing For Dash? First there was cash. Then there was Bitcoin. Just as the internet has filled with domain’s the future will be filled with many different types of D(igital c)ASH. As the late Steve Jobs was known for, when your going to do something you don’t have do it first, just do it the best. This is definitely the approach being taken with the DASH project. Bitcoin has allowed the world to see how powerful software can be when thought of in a distributed manner. Blockchain related technologies are already changing many traditional ideas around what can and can’t be done with software. We are talking about technologies that will have as much influence on the world’s future generations as the Internet and Smart Phones have had with the current generation. One of the struggles with Bitcoin’s public ledger known as the blockchain is that coin’s aren’t fungible. Once a coin hit’s the network it’s entire history can be traced forward or backwards. For the sake of the discussion we describe Bitcoin as a single tier network (much like a wired network with no vlan’s) and we describe DASH as a multi tier network. This is an important distinction. The base of this multi tiered approach lies in the hands of network clients called Masternodes. In the crypto-currency world we consider a network client a computer with the wallet software running. In terms of Bitcoin all clients of the network are considered equal. The more nodes (or clients) up and available to communicate the stronger the mesh of peer to peer connections is for broadcasting transactions, mining blocks, and coming to a consensus on the ledger. The power of DASH comes from a rudimentary adjustment to this basic premise of all clients on the network are created equally. Inside the DASH network clients that have had a single 1000 coin deposit can then in turn attach themselves to another node on the network forming a Masternode bond between their local wallet (with the 1000 coins) and the node on the network with no coins but a full copy of the DASH software running and responding to clients on the DASH network. Just like the server hosting this webpage is running software that allows your browser client to talk to it and serve it webpages these Masternodes perform services to support and strengthen the DASH network. The reason for developing this Masternode connection between a local node and a remote node is done for security and reliability. This allows the 1000 coin deposit to remain locked in place and secure. It doesn’t have to remain online and accessible it can be safely put away until needed. It also allows the computer responding to client requests on the DASH network to be at a high bandwidth facility. This makes Masternode’s highly available and extremely accessible to DASH network clients. Once a wallet has been loaded with a 1000 dash and started as a Masternode as long as it remains healthy and responsive to the network for a set period of monitoring it will eventually get entered into the main Masternode list. This is a list of nodes that have all passed this Proof of Service test and that are considered healthy for the network to rely on to sign blocks, relay messages and provide tier two services like fungibility protection. At this point there is two proof of concept offerings for Masternode’s that have passed this Proof of Service test. These are InstantX and Darksend or what some like to simply call Mix. So let’s recap to run a Masternode, the node must store 1000 DASH. When active, nodes provide services to clients on the network and in return are paid in the form of a dividend. This allows the users to pay for the services and earn a return on investment. Masternodes are all paid from the same pool of money, approximately 45% of the total block reward is dedicated to this program. To ensure that each Masternode is paid it’s fair share of the block reward, the network must enforce that blocks pay the correct Masternode. If a miner is non­compliant their blocks must be rejected by the network, otherwise cheating will be incentivized. We propose a strategy where Masternodes form quorums, select a winning Masternode and broadcast their message. After N messages have been broadcast to select the same target payee, a consensus will be formed and that block in question will be required to pay that Masternode. When mining on the network, pool software (websites that merge the efforts of individual miners) use the RPC API interface to get information about how to make a block. To pay the Masternodes this interface must be extended by adding a secondary payee to GetBlockTemplate. Pools then propagate their successfully mined blocks, with a split payment between themselves and a Masternode. The cost associated with running a Masternode creates a hard and soft limit of active nodes on the network. Currently with 5.3 million DASH in circulation, only 5300 nodes could possibly be running on the network. The soft limit is imposed by the price it costs to acquire a node and the limited liquidity on exchanges due to usage of Dash as a currency and not merely an investment. You don’t “buy” masternodes, a masternode is a Dash full node that besides basic services like propagating messages and securing the network also provide special services like mixing and securing instant transactions, all coins need full nodes but most coins only use them for the basic functions inherited from Bitcoin. In the case of Dash there is added value functionality that is provided by the full nodes. The 1000DASH is a collateral that establishes a bond of trust between the masternode and the network and prevents Sybil attacks, because people can’t just create a bunch of full nodes for free to attack the network, this makes the masternode network really secure. In this sense the 1000DASH are a collateral, you don’t “buy” a masternode as you never give up control of your 1000DASH to anyone you always retain control of your coins and your are free to sell them whenever you like. Obviously if you sell them your node stops running and you stop getting paid as you are no longer providing a service. For providing different services, Masternodes operators get paid a portion of the block rewards, exactly like miners, this portion is divided between all existing masternodes, exactly like miners too, so the more masternodes there are the less money they get for providing these services. This creates a natural market dynamic that depends on market sentiment and investor confidence, if investors perceive less risk they are willing to take a smaller reward and thus the masternode count continues to rise. When the market feels the rewards are too little it may correct, so on and so forth. It is a self correcting system. The Dash full node network is serving its purpose really well and more services will be added on top of the already existing ones. You can easily calculate your payments in Dash from running a masternode, just like you can calculate your payments from mining. 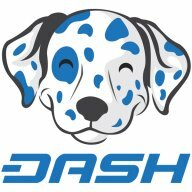 Right now a Dash full node operator gets around 0.5 DASH per day, if you think of that based on the exchage rate today that comes out to be like 1.50 USD per day that is around 550 USD year, while you hold around 3000 USD worth of Dash as collateral for your full node to run and are free to sell that at any time. In reality just like with mining people are not running master nodes for the current exchange rate, you run masternodes to accumulate Dash now, so that you can potentially realize gains in the future at much better exchange rates or just directly spend Dash for goods and services. So just like mining people take a risk now as they see a lot of upside potential. Finally let’s think about a future where running a masternode requires a larger amount in FIAT terms as collateral due to price appreciation, I think that is a future everyone currently investing in masternodes is hoping for. The collateral requirement could always be lowered when that time comes or people can take advantage of shared masternoding which is already very popular and there are several services available for that, just like pool mining.